Bolt with drilled shank that holds ground strap to frame. 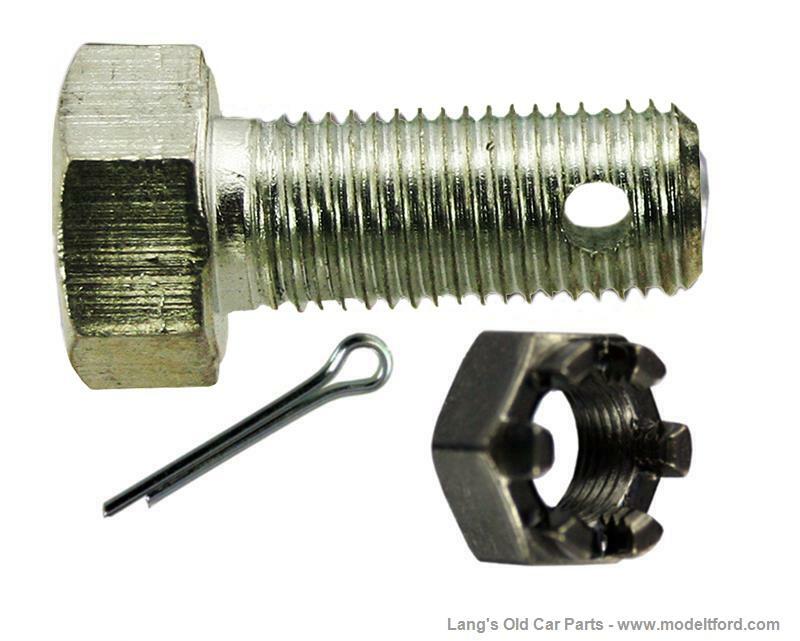 Includes bolt, castellated nut, and cotter pin. NOTE: You may also be interested in the BAT-WASH, terminal protecting washers. Starter switch to starter motor cable with sleeve. 29"